This letter is for good luck. within four days. This is no joke. 10,000 copies within 24 hours. 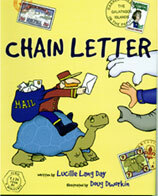 The chain comes from the Galápagos.